Fun and playful. Wear this square brush finished ring by itself or stack with other rings. 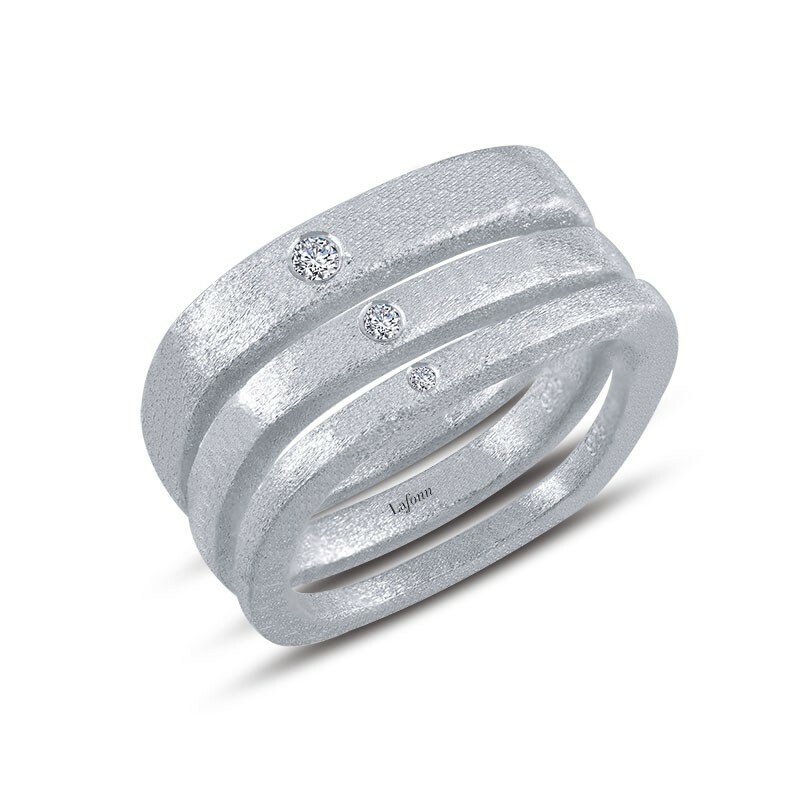 This ring is set with Lafonn's signature Lassaire simulated diamonds in sterling silver bonded with platinum.